Riding solo and that too on India’s popular Golden Quadrilateral is an experience like no other. 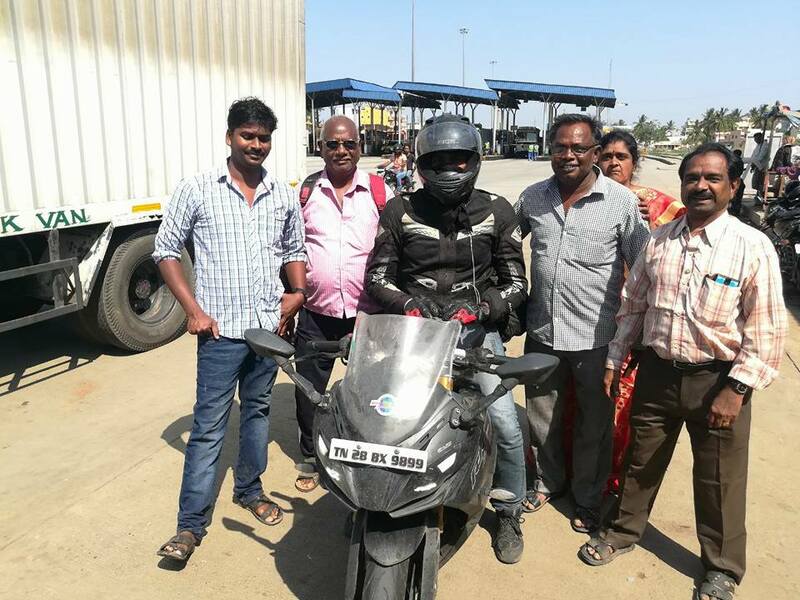 Poonkathirvelan Boopalan had this feeling come alive by covering 5924 km on his TVS Apache RR 310. 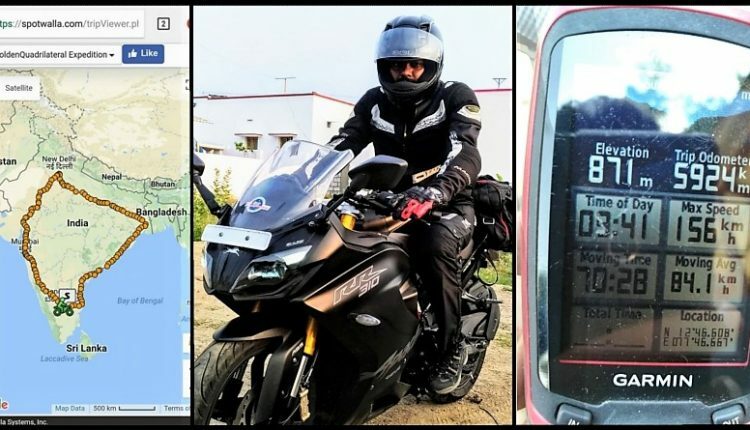 He went through 13 states and rode into 4 metro cities of India in 104 hours. This time includes 32 refilling halts, 70.5 hours of thrill-packed solo riding and sleep breaks. As he calls his RR310 ‘Marengo’, the motorcycle also became India’s first RR 310 to claim more than 10,000 km on its odometer. 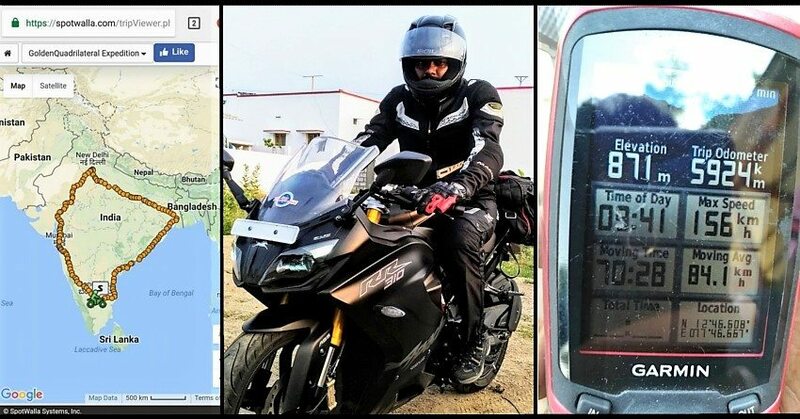 He could not finish the ride in record-breaking time due to unexpected dust storms. He explains how harsh weather could affect the morale and speed of a solo rider as 46 degrees of temperature with fast approaching dust can make things difficult in just a few minutes. Around 400 km highway stretch in Bihar and Uttar Pradesh was under construction. That further led to lower overall speed. 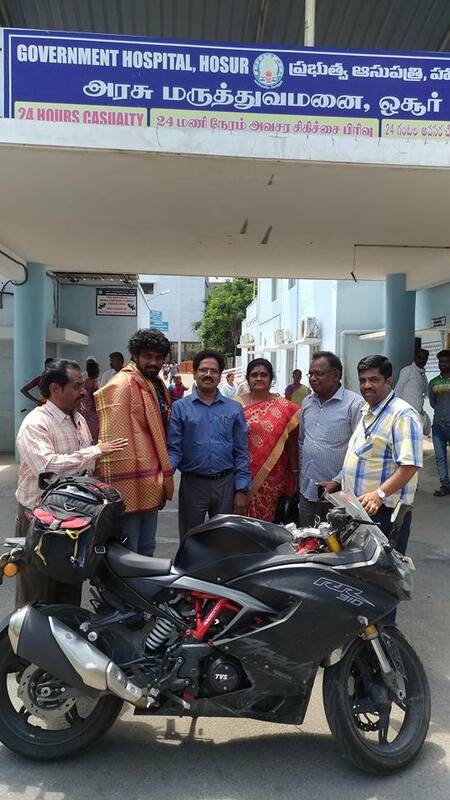 Support from his friends and family made Poonkathirvelan Boopalan a strong man. 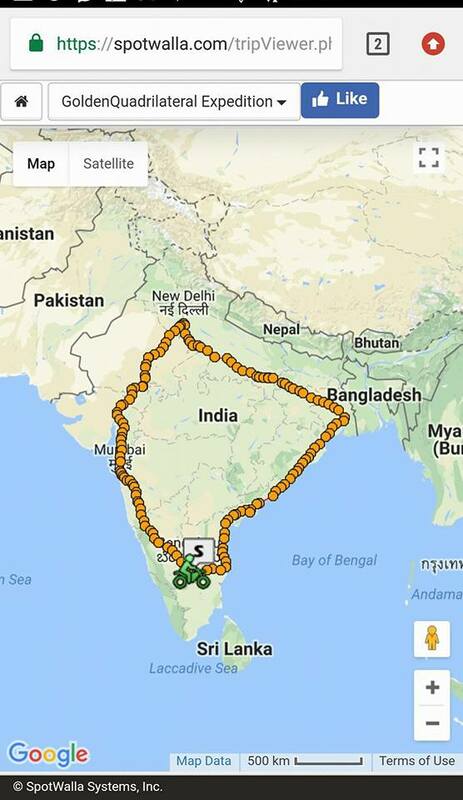 He took over all obstacles to complete his journey with an average moving speed of 84.1 kmph. 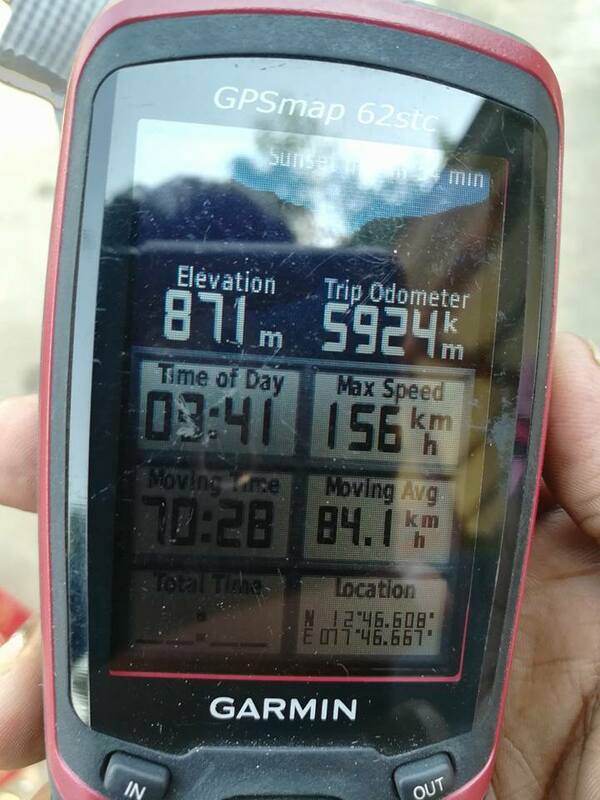 Top speed recorded during this was 156 kmph while all values were recorded on Garmin GPSmap 62stc. 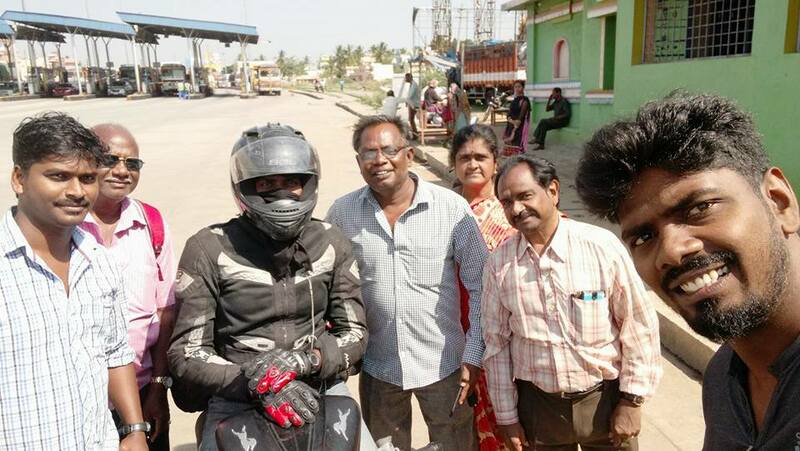 Safety was given high priority as he rode with all riding gear at all times. A rear seat mounted bag was used to carry all required luggage while the same also acted as a temporary backrest when one requires some support. Boopalan’s TVS Apache RR310 is finished in Racing Black shade and carries no additional accessories. RR 310 comes with a 312.2cc, single cylinder, liquid cooled and fuel injected engine producing 34 HP at 9700 rpm and 27.3 Nm at 7700 rpm. RR310 comes with a six-speed gearbox, ABS and LED lights but still misses on slipper clutch.